Updated Friday November 2, 2018 by Chris Cox. Calling all Brewers! We'd love to see you represent your royal & gold at our upcoming local Santa Claus Parades! Saturday November 24th at 2 pm in Aylmer, and Saturday December 1st at 1pm in Springfield. All ages are welcome to participate. 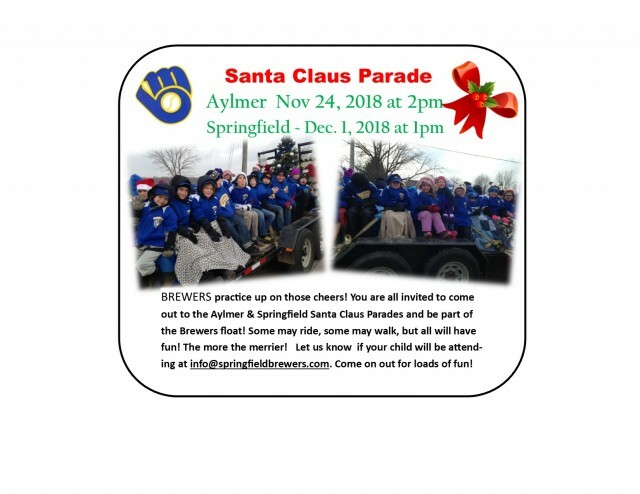 Let us know at info@springfieldbrewers.com if you are interested.